Classic peppermint isn't interesting enough for some candy cane fans. Archie McPhee has released candy canes that taste like pickles, bacon, and wasabi, and this holiday season, adventurous eaters will have the chance to sample their mac and cheese flavor. As Delish reports, Archie McPhee, a novelty store based in Seattle, now sells candy canes that taste like the savory comfort food. "Macaroni and Cheese Candy Canes are a particular favorite of picky eaters," the store writes in the product description. "Macaroni and cheese has become a holiday family tradition in many parts of the country, so why not let our holiday candy reflect that?" The 5.25-inch candies are striped white and instant-cheese-powder-yellow. They come in boxes of six canes, with each box costing $5.95. If you're looking to stock up on unusual stocking-stuffers ahead of the holidays, Archie McPhee sells a wide variety of off-color candies. 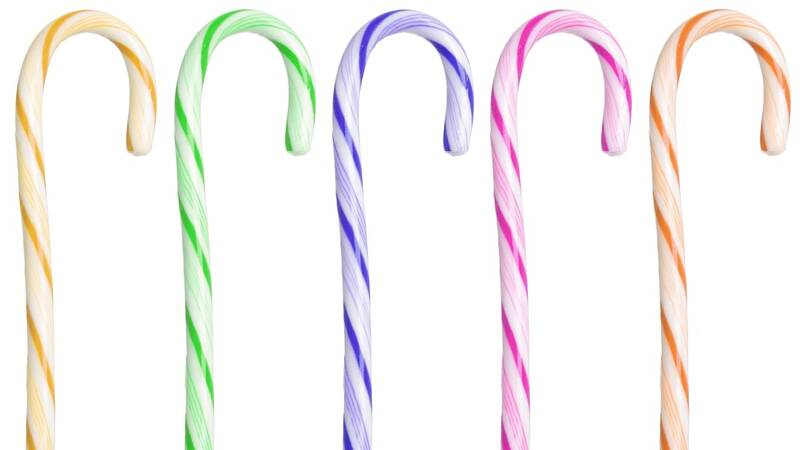 They even have seasonally appropriate candy canes for the friends on your naughty lists, with themes like Krampus, coal, and bah, humbug.